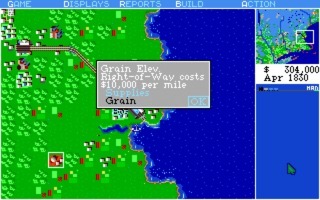 Sid Meier's Railroad Tycoon (or, simply, Railroad Tycoon) is a trains management and business sim created by MPS Labs and released by Microprose in 1990 for MS-DOS and Amiga. 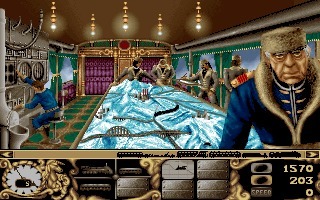 In 1991 it was ported to Atari ST and Macintosh. 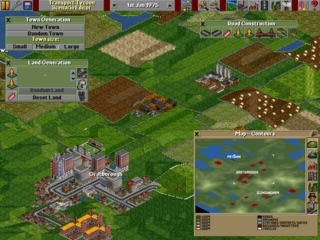 A-Train is a train simulation game created by the Japanese developer Artdink. 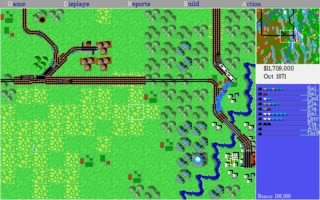 Initially called "Take the A-Train", the first game was released in Japan in 1986, followed by a sequel in 1988. 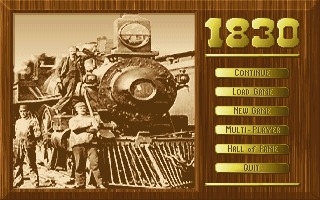 1830 is a complex and faithful computer conversion of Avalon Hill's Railroads Barons board game, featuring strong AI and a detailed business simulation..
Design Your Own Railroad is a model railroad simulation developed by Dill Software and released in 1992 for DOS, Macintosh and Apple II. 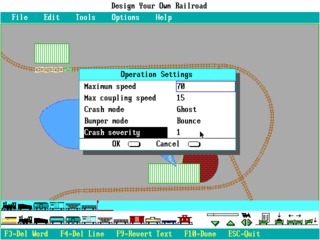 The game allows you to sketch and design your own custom railroad track plan. 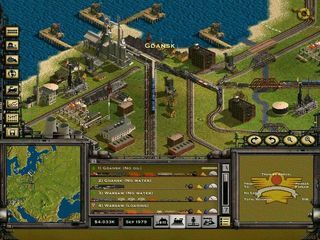 Railroad Tycoon II is a railroad simulation game developed by PopTop Software and released for Windows in 1998. 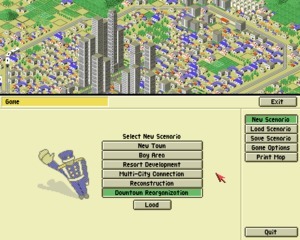 Despite the title, the game is technically not a sequel to the previous Railroad Tycoon designed by Sid Meier.